As the promise of cellular therapies grow, so does the need for high-quality raw material and ancillary components for ex vivo cell manufacturing, including GMP cytokines and growth factors. 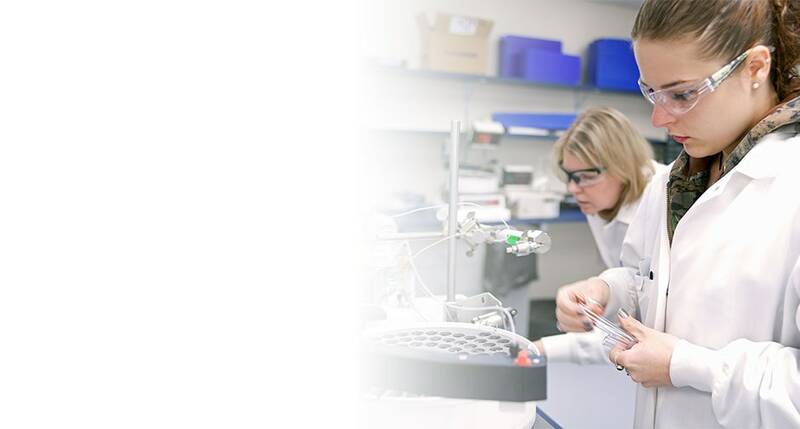 Our large supply of GMP proteins is backed by our dedication to providing cell therapy manufacturers a consistent, safe, and traceable supply of reagents. View our GMP protein portfolio below or browse our full cell and gene therapy manufacturing portfolio at bio-techne.com. Advanced cell therapies using immune cells (CAR T or Natural Killer Cells) and stem cells are rapidly progressing through clinical trials. Find the GMP raw materials you need by specific cell type. What is a GMP Protein? The proteins are manufactured under guidelines that allow for their use as ancillary materials in cell therapy or for further manufacturing processes. GMP proteins also come with extensive documentation and traceability, as well as additional quality control testing. They may or may not be manufactured using animal-free or animal component-free processes (ACFP) depending on the characteristics of the protein. What is the Difference Between R&D Systems Traditional Proteins and GMP Versions? Often the sequence, the expression system, and the basic manufacturing SOP for traditional and GMP proteins are the same. This makes the transition from using research use proteins to GMP as seamless as possible. In addition, compared to traditional proteins, GMP proteins come with extensive documentation for traceability as well as additional quality control testing and quality assurance review. Are R&D Systems® GMP Proteins Animal-free? If possible, R&D Systems GMP proteins are made in an entirely animal-free process using E. coli as the source. However, there are some proteins that require production in eukaryotic systems to maintain activity. This may be due to protein folding or post-translational modifications that can only be accomplished by making the protein in a eukaryotic cell line. In some instances, these proteins can be expressed successfully in animal-free certified Sf9 insect cell line (Animal Component-free Process; ACFP). In all cases, it is clearly stated on the website whether a specific protein is produced in an animal-free process. See our safety page for a detailed definition of our animal-free process. What are Animal-free and ACFP (Animal Component-free Process)? Animal-free - Production and purification procedures use equipment and media that are certified animal-free. Our dedicated controlled-access animal-free laboratories ensure that at no point in production are these products exposed to potential contamination by animal components or byproducts. Some GMP proteins are manufactured under an animal-free process. ACFP (Animal Component-free Process) - ACFP recombinant proteins are expressed in an animal-free certified Sf9 insect cell line using dedicated animal-free raw materials and labware. Production and purification procedures use equipment and media that are confirmed animal-free but performed outside our dedicated animal-free laboratories. Some GMP proteins are manufactured under an animal component-free process. Are GMP proteins from R&D Systems Pharmaceutical or Therapeutic-grade? No, our GMP proteins can only be used as raw materials or ancillary reagents for cell culture or other processes involved in the ex vivo manufacturing. Do You Have Drug Master Files? Drug Master Files (DMFs) are kept on record in the United States at the FDA. These records detail all aspects of the manufacturing, including proprietary processes. They can be accessed to support new submissions. R&D Systems is in the process of submitting DMFs for all GMP cytokines and growth factors. Please contact us for detailed information on your protein of interest. When Should I Transition to GMP? Moving to GMP proteins as early as possible, potentially even during research and development work, is the best course. This is especially the case if you are using cytokines or growth factors from a supplier that doesn’t also offer GMP cytokines and growth factors for further manufacturing. What Should I Expect from a GMP Protein Manufacturer? Some basic things to expect include a lot-specific Certificate of Analysis that will detail the identity of the protein and analytical testing that has been done to ensure the material is meeting specifications. A Certificate of Origin may be obtained that provides traceability of the materials used in manufacturing of the protein. This would be key document for those wanting to establish they are working with animal-free raw materials. Drug Master Files (DMFs) may also be submitted to regulatory authorities by the supplier. DMFs provide details about manufacturing process and can be referenced during filing. They also provide a mechanism for submitting proprietary information. A supplier should be very open to audits of their facilities where you can review batch records that provide critical information about lot-to-lot consistency. Lastly, look for a protein manufacturer with a mature quality management system (QMS), including GMP and quality experience, who can be an asset as you move through the manufacturing process. Do You Run Cell-based Assays to Test GMP Protein Performance? Each GMP cytokine and growth factor is tested for performance using cell-based bioassays that include proliferation, induced cytokine secretion, cytotoxicity, and others. Details regarding activity testing for a given cytokine are regularly shared during audits of our facilities.